In the beauty world the saying "Eyebrows frame the eyes" is something we always hear. And different people have different style when it comes to brows. For me, honestly, I have never bothered with my brows because they are already full and thick, bushy originally haha. So what I usually do is just to groom them, nothing more. However, the more I get into makeup, the more I realised that brows is something I need to learn one way or the other. I tried various methods and products for my brows but I was never satisfied because they made my brows look thicker than they should. What I'm looking for is just to fill my brows and looking very natural. My favorite eyebrow product at the moment is the Shu Uemura Hard Formula Brow Pencil. My first impression is that this product doesn't work, because when I swatched it at the back of my hand, there was no color. Then I was told that the color is activated by the natural oils in our brows, that's where the color will show up. Interesting right? The color I use is the color hard 6. The packaging of this is just a regular brow pencil with a clear cap. It is however longer that regular brow pencils, which means that there is more product and it can last longer. The texture is hard, as stated in the name but color can show up even with soft and light strokes. It gives a very natural effect on the brows. How I use it is by filling in my brows and blend it with a spoolie. The color will show up light and if you want it to look darker you can build it up. This is also my favorite brow pencil to use on my clients. 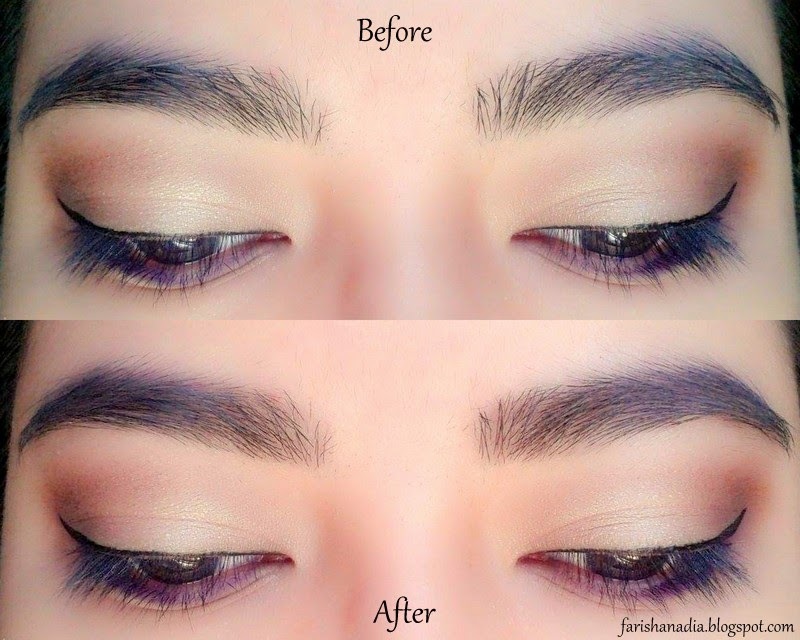 I usually use two colors, hard 9 (lighter one) at the inner part of the brows and hard 6 (darker one) at the outer part. This combination gives a natural and lovely effect on the brows. Now, I am not sure that the ones I'm using are a new formula because most of the pictures I've seen of the brow pencil is a little different. It had a different method of sharpening and can only be done at Shu Uemura counters. The ones I have looks like regular brow pencils and I sharpen them with normal sharpener. I can't say if the previous (or still currently) way of sharpening was better or gives a more special effect, but the way I'm using it now works well for me.